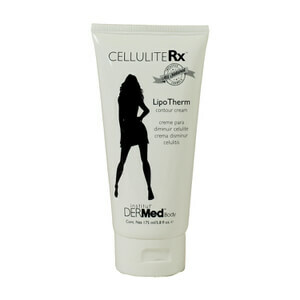 Institut' DERMed Body CelluliteRx LipoLift Firming Lotion tightens the skin with advanced peptides infused with ultra-pure botanicals of pomegranate, rose hips, and rosemary. Glycolic acid accelerates cellular renewal resulting in healthier collagen that improves the texture and thickness of the skin. A thicker skin prevents cellulite from being as noticeable. Benefits: Promotes collagen and elastin synthesis for a firmer, younger looking skin; Improves the dimpled appearance of cellulite; Tightens skin anywhere on the body due to weight loss, pregnancy or aging. All natural ingredients, beautiful, fresh scents. Accelerates the skin's cellular renewal process. Promotes collagen and elastin synthesis for firmer, younger looking skin. Improves skin tone, thickness and elasticity. 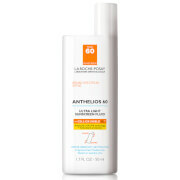 Use once daily as an overall body lotion to firm and hydrate. 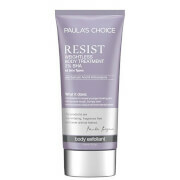 Apply a small amount and massage into areas of the body where firming is desired. May use as Step 3 in the CelluliteRx 3-Step cellulite treament system or alone to treat sagging skin in the neck area, knees, abdomen or any other areas of the body where skin firming is desired. This wonderful product has been recently revised and is even better than it was. It used to be too runny. Not now. It's similar to a mousse in consistency and has a wonderful feel. It keeps my skin moist all day. My skin is becoming more firm. I've tried several firming body products in the past and although I had never heard of this company before, I gave it a chance and was very happy and surprised by the results. I also used the thermal product from this line and like it's results as well.I have re purchased this which is a testament to how much I like it! This product works as advertised! It has an awful scent when first applied, but the smell goes away and does not remain on the skin. Plus, if you are anything like me--you will deal w/a potentially smelly product to acheive a reduction in cellulite! I am about 20-30 lbs heavier than my usual weight and it still has an astonishing impact, and can only imagine those who are at their ideal size and still have cellulite that this product will make it virtually disappear! I tried CelluliteRx Step 3 on my bat wing arms and within 2 weeks notices firming! The combination of glycolic acid and peptides is making my skin look healthier and more youthful. I love this active product.